1. Civil Engineering - B.E. Civil Engg. with M.E. - Remote Sensing and Geomatics) / Soil Mechanics and Foundation Engg. Transportation Engg. / Environmental Engg. / Hydrology and Water Resource Engg. 2. Centre for Water Resources - B.E. Civil Engg. / Agricultural & Irrigation Engg. 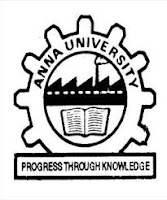 Agricultural Engg. with M.E. Hydrology and Water Resources Engg. / Irrigation Water Management / Integrated Water Resources Management / Agricultural Engg. 3. Division of Structural Engineering - Civil Engg. / Civil & Structural Engg. with Structural Engg. 10. Manufacturing Engineering - B.E. Mechanical Engg. / Manufacturing Engg / Production Engg. with M.E Computer Integrated Manufacturing / Manufacturing Engg. / Production Engg. 14. Media Sciences - M.Sc Electronic Media with - M.Phil. / NET (OR) Electronic Media with two years . Experience in editing with Mac Systems. 6. Hard Copies of the signed application along with photocopies of (i) ID proof (ii) Proof of Date of Birth (iii) Educational Certificates: Mark-Sheets/Degree Certificate (iv) Caste and attested copies of relevant documents should be addressed to “The Dean, College of Engineering, Guindy Campus, Anna University, Chennai - 600 025.” by post so as to reach us by 14.06.2018. Envelope must be super-scribed with “Superscribe the envelope as “Application for the Post of ____________________________________, Department __________________________________.